Why Does Nobody Have Any Biltong Brand Loyalty? Americans love to eat meat, and if you can crack the US market, there is big money to be made. 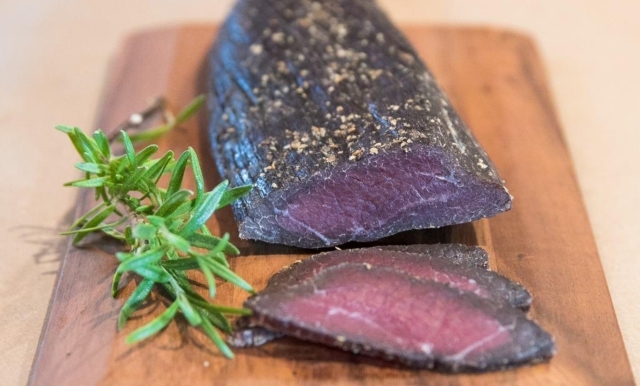 Perhaps that’s why financers are backing Stryve Biltong, an American company, to the tune of $10 million (around R140 million), with the startup securing a new round of funding in an attempt to ween Yanks off jerky and over to biltong. 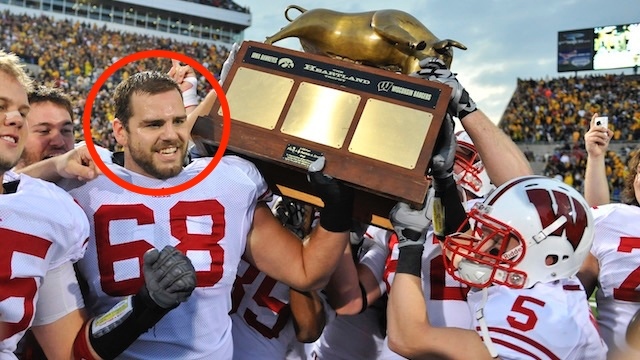 Stryve CEO Gabe Carimi [below], a famous former American football player, is very certain that he is going to succeed. Stryve Biltong was launched in November 2017. In January this year it bought Biltong USA, a company founded after the Joubert family moved to the USA 1990s, only to be dismayed at the lack of biltong in their new home country. After receiving approval from the American Food and Drug Administration (FDA), it grew from a North Carolina base to stores in seven more states, including New York and California. Then, in February, Stryve bought Braaitime LLC, a company founded after Warren Pala moved his family from South Africa to New York in 2001. His previously family-owned business also sells boerewors and three-legged potjies from headquarters in New Jersey. When those two combined, Stryve took over control of every biltong-making facility in the US. 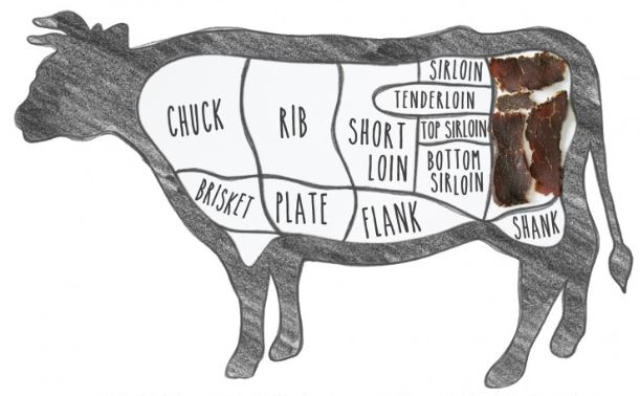 Beef biltong starts with a slab of top round steak (the same lean, low-fat cut used for roasts and juicy steaks). It then gets coated in a mixture of spices, salt, pepper, and vinegar. Spice blends vary by type, but coriander and allspice are popular additions. It’s also why biltong comes with so many surprising health benefits, and jerky does not. Once the biltong is cured, it’s sliced against the grain to give it a more tender texture and uniform shape (the thin slices look a little like ribbons). It has a spicy-salty flavor with a zing of vinegar…Also, worth noting: There’s practically zero sugar in biltong. Look, we’re South Africans and we know it’s a no contest, but good luck to Stryve in their mission to convert America. 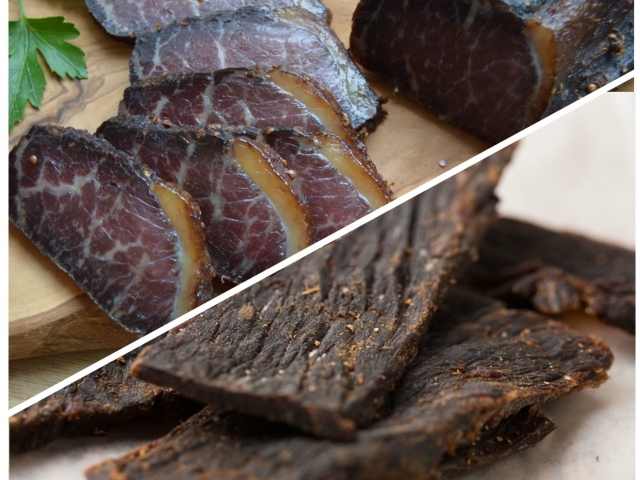 Competition for the SA market is stiff, but you won’t do better than Shirwood Biltong. Their tasty, Halaal-friendly range, made using energy produced from solar power, use only topside cuts, which ensures texture and brittleness in the bite. That’s two kilograms of droewors for R250. You’re not going to beat that, no matter where you look. If you’re in Cape Town, delivery is also free, and takes only one or two days, so it will arrive in time for you to watch Western Province maul the Sharks in the Currie Cup final on Saturday. 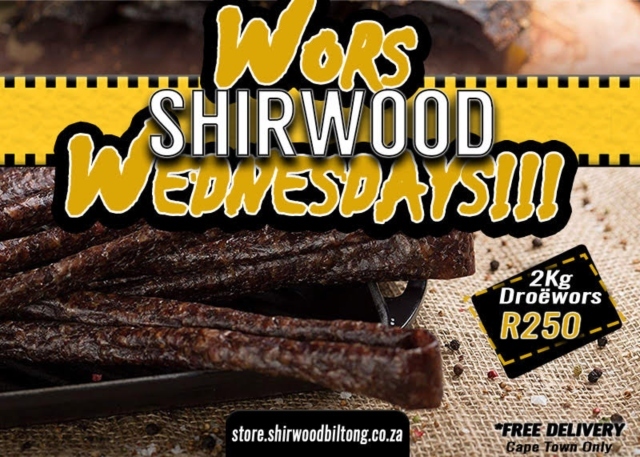 Shirwood’s online store offers a full range of biltong, droewors and Snapstix options, in case you’re going all out on the snacks. You’re welcome to keep on chewing on jerky (just nowhere near us, please), or some biltong you snapped up at the petrol station on your way home from work (you’re better than that), but not for us, thanks. We’ll be eating the good stuff.